The steelhead season on the West Coast of Washington has been a roller coaster so far. With the weather we’ve had, we’ve experienced drastic highs and lows. We’ve seen no rain followed by too much rain. Our rivers have gone from bone dry to flood stage. 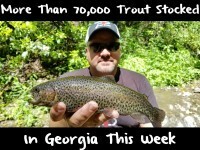 Fortunately, where we stand now, I’m expecting to have another chance of good steelhead fishing for a few weeks. With the way the weather pattern is evolving, we’ll get dry for the next few weeks. This will cause the river levels to drop and give us more opportunity to fish several river systems. The entire Chehalis River system, the area I fish, should become fishable through March. And, I’m expecting steelhead will be available through the month. Right now, the entire system has fish. The plunkers are getting them in this high water and the boaters are just getting back out there and will get them as levels recede. There’s a lot of fish in all the systems around here and steelhead should continue to come with the lack of netting going on. It’s that time of year where they have to start returning. This winter hasn’t been a banner one. 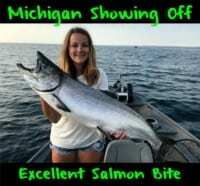 The numbers have been low and the quality has been smaller, although today we had two wild fish that went 18 and 20 pounds. That’s promising. I don’t know why the fish are smaller this year. It could be related to several factors. There’s too many variables. Just trust me, the average size is down. As we near the final third of steelhead season in the Chehalis system I’d recommend targeting structure. If you don’t you aren’t going to do well. All of our fish the last few days were caught around structure. I’d focus on wood, debris, rocks and boulders. Lately it’s been a bait bite. I’ve been using BorX O Fire cured steelhead eggs, mostly the pink BorX O Fire. Meanwhile, I’ve been mixing pink and natural BorX O Fire this season to achieve a specific color that’s been working well. I take a bottle of pink and bottle of natural, pour the cure into a Ziploc bag, add a cup of sugar and mix it up. Doing so gives me an egg color that’s brighter than natural orange and lighter than bright pink. It’s given me that shade that the fish want. I’m using a double rig setup with a Matzuo Size 4 double sickle octopus on top as a bait hook and a No. 6 on the bottom as a trailer. The reason why I use the small hook on the bottom is because I don’t want the bottom hook heavier because it will snag up too much. Right now, I’m just using eggs. I think 90 percent of why we are getting the bite is about the smell. We have glacier-green, two-foot visibility and when conditions are like this they bite because of scent. Mixing these two colors of BorX O Fire doesn’t create an egg that’s too bright to where they are going to spook the fish. And, before I forget, I’m using a 10-pound main line consisting of Maxima UltraGreen and an eight-pound UltraGreen leader. Editor’s Note: Bill “Swanny” Swann operates Swanny’s Fishing. 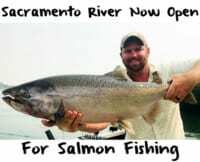 For information on his winter steelhead fishing trips on multiple Western Washington Rivers please visit http://www.swannysfishing.com/.